Chewing food is an activity you most likely participate in several times every single day. Chewing comes naturally, but the instinctual nature of breaking down food with our teeth holds an importance that is often overlooked. The most obvious benefit of chewing thoroughly is that it greatly reduces our risk for choking. However, there are other compelling reasons to be mindful of the way you chew. Celina, TX dentist, Dr. Angela Ganjoor, will explain some of the reasons you should examine your chewing habits. 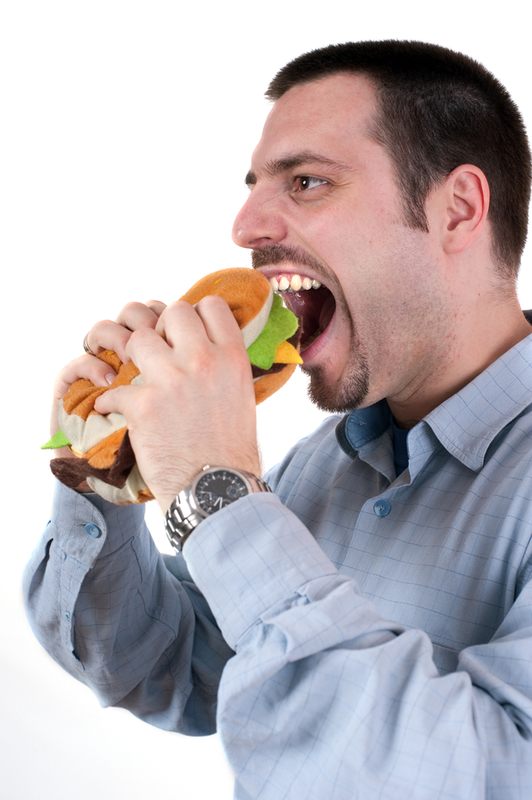 Taking bites of food which are too large for the size of your mouth will eventually cause damage to your jaw. This advice is particularly timely in the United States culture. Americans have taken to consuming food in increasingly larger portions over the years. Gargantuan sandwiches, huge hamburgers, and belly busting burritos, for example, are sometimes so large that they require you to open your mouth wider than you should. People who suffer from TMD (temporomandibular joint disorder) are at high risk for jaw injuries because their joints are already sensitive. If a meal requires you to open your mouth so widely that it causes discomfort or pain, simply cut the food into smaller bites before chewing. A large number of people fail to chew their food enough times before swallowing. You may find it necessary to eat on the run, or you may feel so hungry from waiting too long to eat, that you rush through the entire process of enjoying a meal. Eventually, eating too fast becomes an bad habit. One research study from Harbin Medical University in China pin-pointed a link between the amount of chewing people do, and the levels of certain hormones in our blood. Ghrelin is an appetite stimulating hormone which is found in lower levels in the body when food is chewed at least 40 times per bite. On the other hand, an appetite regulating hormone called CCK is detected in higher levels with more thorough chewing. If these hormones work in harmony, they can aid in maintaining a healthy weight. Make an effort to chew at least 40 times with every bite of food you take, and see if your waistline might begin to shrink over time. If you are concerned with jaw issues, contact your Celina, TX dentist. To schedule an appointment, call our 75009 dental office. Also, visit our website to view services, print patient forms, or see our smile gallery. We proudly serve new and existing patients in Prosper, Frisco, McKinney, Gunter, Pilot Point, Anna, and the surrounding areas.